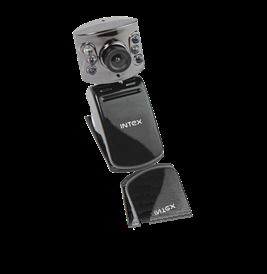 The Intex IT 350B computer multimedia speaker system has been built to impress. Elegantly designed with a distinct black look, these multimedia speakers sport a simple yet classy style. 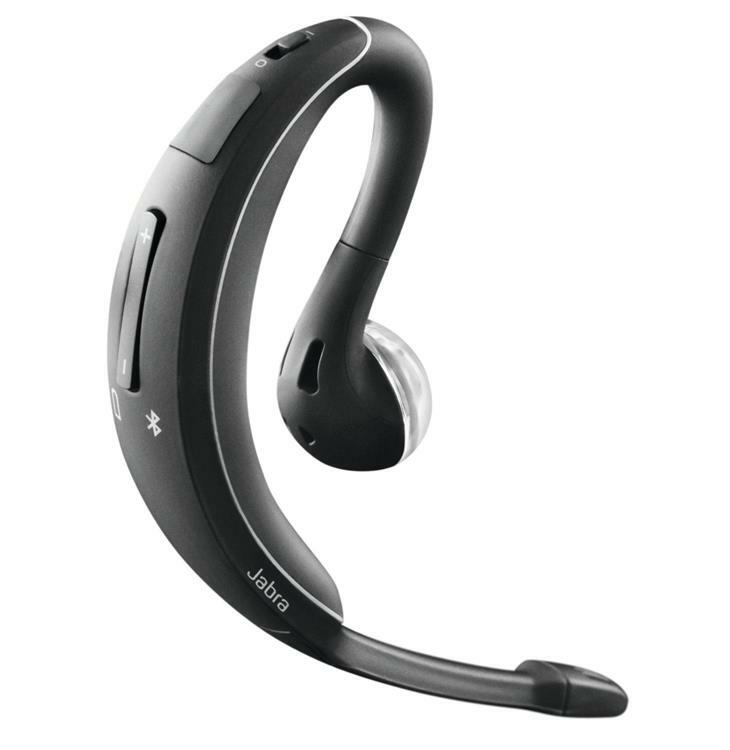 Ideal for desktop use, these speakers include two multimedia stereo speakers. 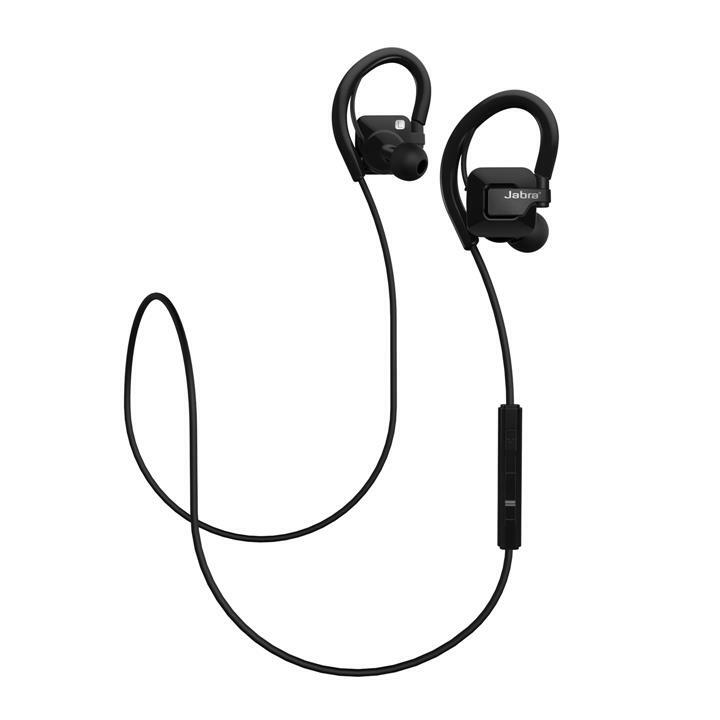 Their compact size and lightweight allow you to easily carry them around the house or even to a friend's house. 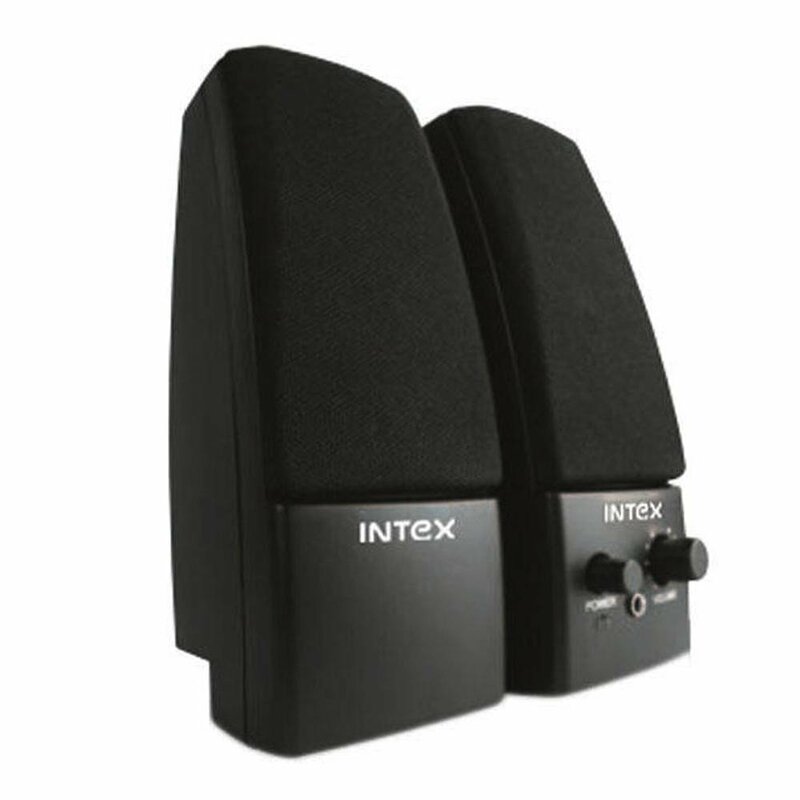 You can place these Intex 2.0 speakers on the computer table, coffee table or even rest them on your bed while watching a movie or listening to music. Immerse yourself in the superior sound quality of these Intex IT-350W 2.0 multimedia speakers. 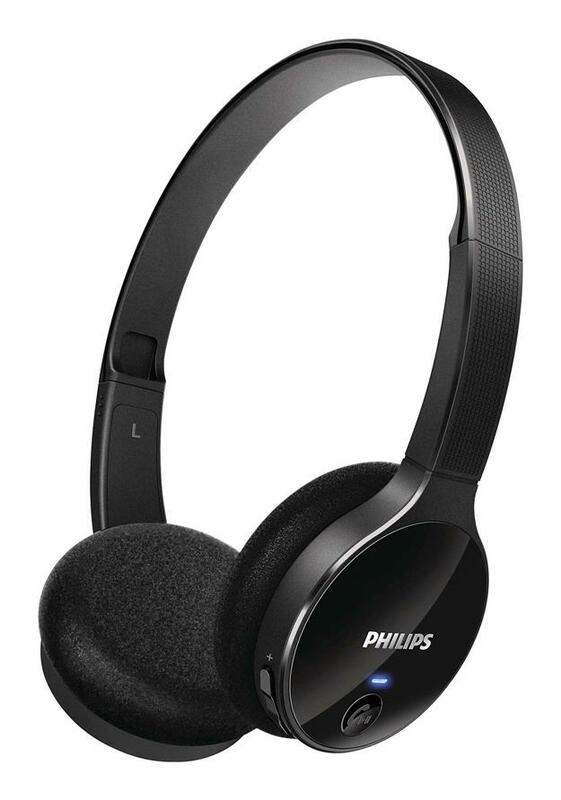 These speakers let you enjoy enhanced sound echoing through them. The advanced reflex bass design produces low, rich bass tones that will blow you away. 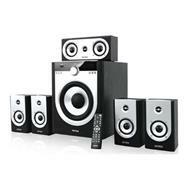 This computer multimedia speaker set produces sounds with minimal distortions thanks to its low distortion circuit. Such a feature is particularly useful when high frequency sounds are passing through these speakers. 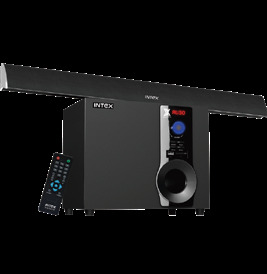 The Intex multimedia speakers are magnetically shielded to prevent friction against other magnetic digital devices and to avoid picture distortion in a movie. 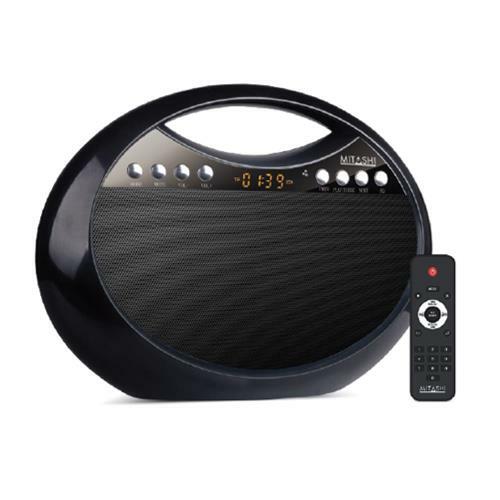 This 2.0 multimedia speaker set is compatible with multiple digital devices like your mobile phone, music player, laptop, PC and tablets. Watch your favourite movies and listen to your favourite music by connecting them to the stereo jack input. 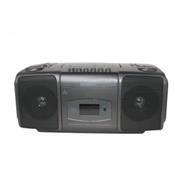 For optimum performance, this Intex computer multimedia speaker system features a total power output of 6W RMS. 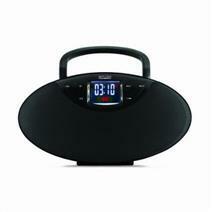 The front portion of these satellite speakers sports a user friendly volume control and power on/off control knob. A mini light display informs you when the device is turned on or off.